In a few weeks I have book coming out with InterVarsity Press. It is called Rediscovering Jesus: An Introduction to Biblical, Religious and Cultural Perspectives on Christ. I co-authored it along with Randy Richards and Rodney Reeves. Back in 2007 we co-authored a book of a similar title on Paul. Who is your Jesus? Matthew’s teacher? John’s Word made flesh? Hebrews’ great high priest? What if it turned out that your Jesus is a composite of your favorite selections from the New Testament buffet, garnished with some Hollywood and Americana? Rediscovering Jesus takes us on a gallery tour of biblical portraits of Jesus, from Matthew through Revelation. Our expert guides point out the background and highlights of each New Testament image of Jesus. Then we hit the streets to visit other houses of worship and their scriptures, examining the Jesus of the Book of Mormon and the Qur’an. Popping into a bookstore, we browse the latest on the Gnostic and the historical Jesus. Then we’re off on a walking tour of Jesus in America, followed by a film festival of Jesus movies. All along the way our tour guides describe and interpret, but also raise questions: How is this Jesus different from other portraits? If this were our only portrait of Jesus, what would our faith be like? 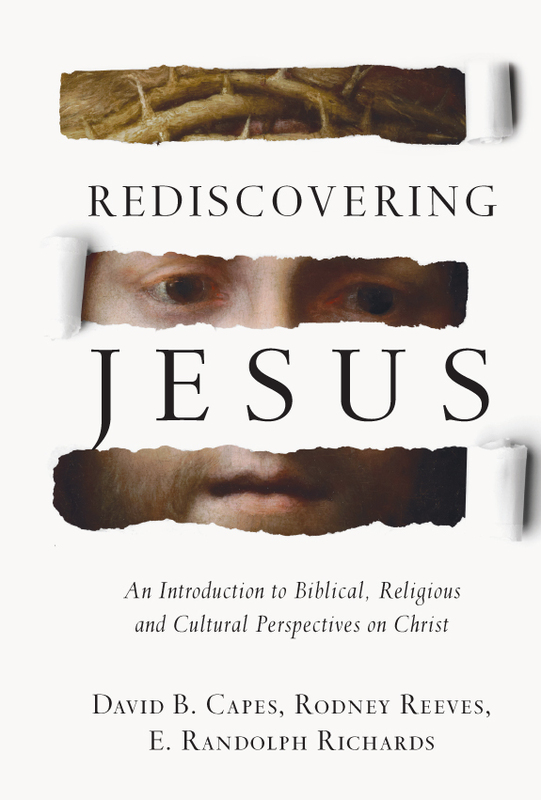 Rediscovering Jesus is an enjoyable, informative and challenging look at how we encounter Jesus in Scripture and our culture. With ample sidebars exploring contexts and the “so what?” questions, it takes us beyond other surveys by probing how our understanding of Jesus can make a difference for faith and life. From the authors of Rediscovering Paul, this is a textbook introduction to Jesus that guides us in our pilgrimage toward seeing Jesus truly. By David B. Capes in Uncategorized on June 16, 2015 .